I'll admit it- I never go a day without drinking coffee. I honestly couldn't tell you when that began, but I can say with certainty that it will never stop. I'm not alone- I became hooked long before college, but for many, growing accustomed to the coffee lifestyle (because, yes, it's more than just a beverage) is a college rite of passage. If you're a fellow coffee addict, the following ten things will make you instantly nod in agreement. One coffee a day is for amateurs. 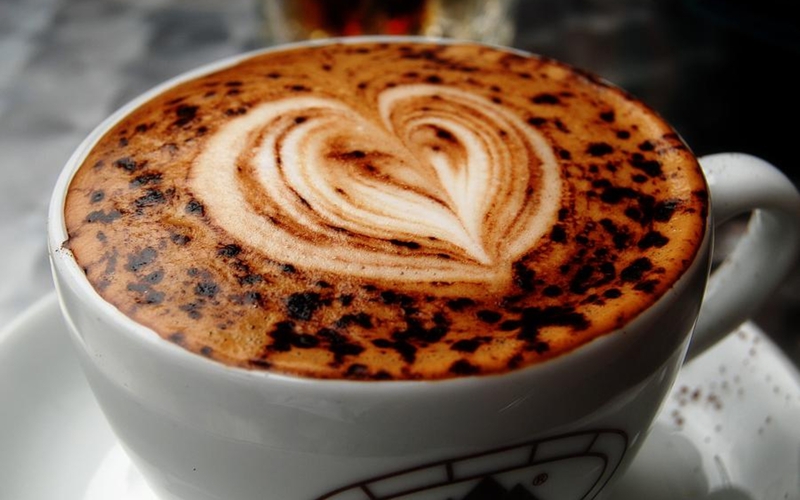 Myth: a single coffee in the morning is enough to keep an energetic glow going throughout the day. Tell that to me, crawling into the closest coffee shop for the second coffee of the day at 3 in the afternoon because there's no way I'll get through all of this homework without it. Tea just can't compare, no matter how much we want it to. Yes, tea seems classier. It sounds more sophisticated, like wine to beer, and tea drinkers just overall seem to have their lives together. Me, personally? Drinking coffee is partly due to the fact that I DON'T have my life together. But coffee drinkers know that drinking tea just doesn't do the same thing. Someone bringing you coffee is so much more than a nice gesture. Anyone who's coming to meet you with a coffee in hand isn't just being polite. They understand how much you need it, and that's a bond stronger than one could have ever hoped for. If someone offers to bring me coffee, I feel forever indebted to them. You take your coffee how you take it, and that's that. I was once accidentally given someone's medium black coffee by accident and didn't realize it until it was too late. Another disappointed customer was given my black and white mocha, and probably couldn't even ATTEMPT to drink something so sweet. Coffee drinkers know how they want their coffee, whether that's black or with all the sugar/milk/syrup in the world, and there's really no changing that. Sometimes- okay, MOST of the time- coffee is most of your bank account history. $3.25 here. $2.50 there. Oh, right, THAT'S where my money went. If you were to add up all the money that you probably spend on coffee that you spend on coffee every month, much less every YEAR…yeah, no, let's not. The person you are before your first coffee of the day is not you. And everyone should be grateful for that. Talking to me at all before I've had at least one coffee, ESPECIALLY if it's before the time on the clock has hit double digits, is sort of like attempting to summon a ghost in a haunted house. You'll either get absolutely nothing out of me, or you'll be very scared. You don't understand why decaf exists. Seriously, does anyone know? Does literally ANYONE know?? Who is this for? If someone doesn't want the effects of coffee, why are they drinking coffee? Why not just order something that's already, by default, non-caffeinated? How did these people even discover that they liked the taste of coffee if they didn't want caffeine? So many questions. The feeling you get when your name is called at the bar is an irreplaceable feeling. Yes, admittedly, the barista is hot, but he's not why I'm happy. I'm happy because of what he just put in my hand. Don't get me wrong, the look in my eyes is totally the gaze of someone in love, just not in love with what you'd think. Someone has probably, at some point, suggested that your coffee habit is unhealthy/problematic. We've all heard the concerns. We've all ignored them. Surely, these people in our lives mean well, but they just don't understand. Hey, friends and family, there are worse things I could be addicted to! I think I speak for everyone when I say we should be thankful that it stops at coffee. Your life is better with coffee in it. And my coffee is better with milk in it. Sorry, black coffee loyalists. At least we can agree that neither of us want to live without it.